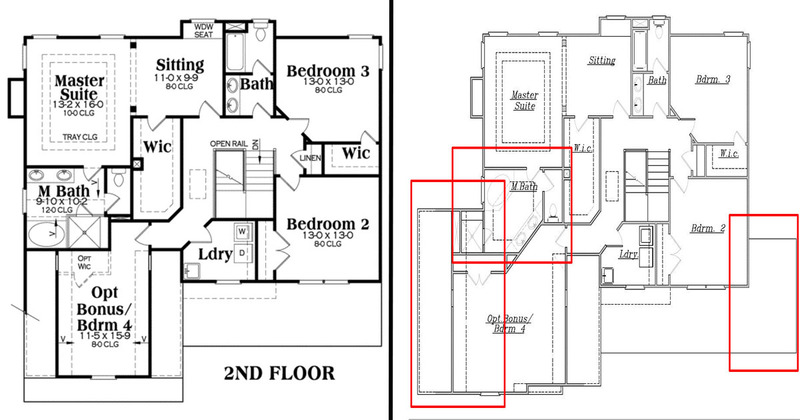 Did you know you can modify ALL of our house plans? If you fall in love with a home but would love to change a few things, we can modify the plan to fit your exact wants and needs. Modifications can be small like changing locations of doors and windows or large such as altering the ceiling heights throughout the house. Even your dream home might need some customization to fit all of your family’s needs and wants. Thankfully, we make the modification process easy! When you’ve created your list of modifications, visit the house plan on our website and click the Modify This Plan button, as seen below. If you want to visually show your modifications, you can use this free online tool to mark up the floor plan to represent the changes you want made: JPG/PDF Editor. A customer bought Plan 009-00069, a 2,465 sq. ft., 3 bedrooms, 2.5 bathroom home. However, he needed a few modifications done to the house plan in order for it to fit his family’s needs. Once we receive your modification information, one of our customer service representatives will contact the designer of that specific house plan and determine the price and time frame associated with those changes. Within 3 business days, our customer service rep will contact you with a custom quote which includes the price of the modifications as well as when you will receive your updated house plan. Modified house plans take around 3-6 weeks depending on how many and how complex your modifications are. House plan modifications aren’t covered by a flat rate. The designer dictates the price depending on how intricate and difficult your changes may be. We do, however, have a breakdown of the possible cost of your modifications so you have a round about idea. Minor Modifications – range from $200 – $500 – include moving doors, windows, interior walls, etc. Substantial Modifications – range from $850+ – include moving exterior walls, increasing or decreasing square footage, or needing a long list of modifications. If you accept the modifications quote, you simply need to approve and submit payment. Half way through the modification process, we will contact you with the preliminary updated house plan for your review. This will help determine if we’re on the right path and if you’re seeing the exact changes you requested. Once all modifications are completed, we will send you the new updated house plan! Simple and worry-free, we make modifying your favorite house plan easy. Just follow the steps above and you’ll have the perfect house plan before you know it! 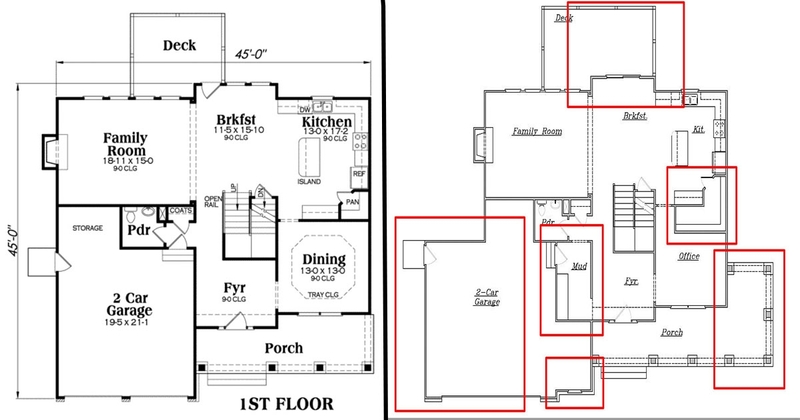 The use of space in these updated house plan (difference of 2-500 ft) is awesome! Who knew you could fit so much into such a smaller space, and a smaller budget. In your expert opinion, is a kitchen island a waste of space? I can’t find a useful way to incorporate this piece into an already small kitchen.